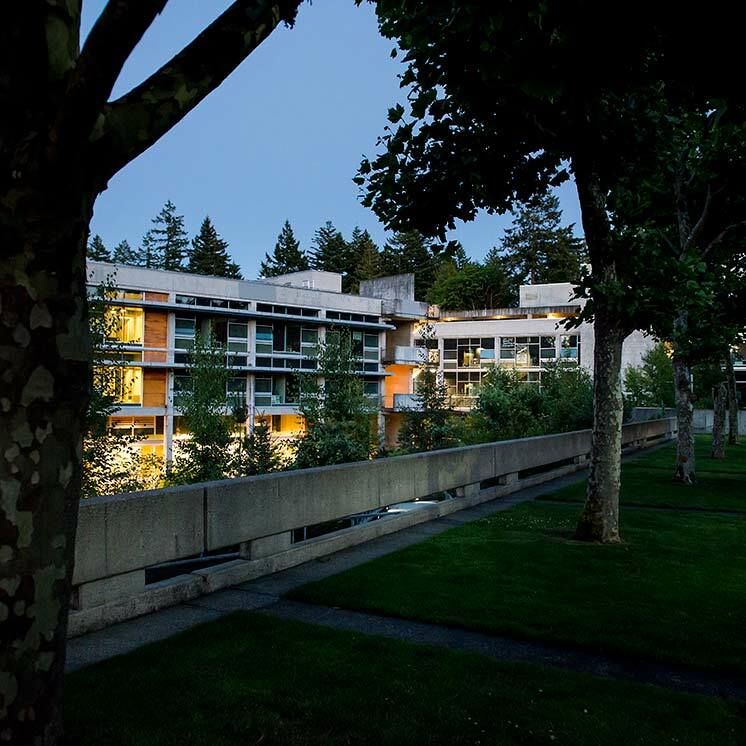 Consistent with our commitment to creating a diverse and inclusive environment and in accordance with federal and state laws, The Evergreen State College provides accessible technology in all of our educational and administrative services, programs, and activities. This policy extends to the college’s electronic and information technologies (EIT) and applies to procurement, development, implementation and ongoing maintenance. Ensuring equal and effective electronic and information technologies (EIT) access is an institutional responsibility extending across all programs, divisions and departments. “Accessible” means that individuals with disabilities are able to independently acquire the same information, engage in the same interactions, and enjoy the same services within the same timeframe as individuals without disabilities, with substantially equivalent ease and effectiveness of use. “Electronic and information technology” or “EIT” includes information technology and any equipment or interconnected system or subsystem of equipment that is used in the creation, conversion, or duplication of data or information. The term electronic and information technology includes, but is not limited to, internet and intranet websites, content delivered in digital form, electronic books and electronic book reading systems, search engines and databases, learning management systems, classroom technology and multimedia, personal response systems ("clickers"), classroom podiums, office equipment , copiers and fax machines. It also includes any equipment or interconnected system or subsystem of equipment that is used in the automatic acquisition, creation, storage, manipulation, management, movement, control, display, switching, interchange, transmission, or reception of data or information. This term includes telecommunications products (such as telephones), information kiosks, Automated Teller Machines (ATMs) transaction machines, computers, ancillary equipment, software, firmware and similar procedures, services (including support services), and related resources. “Equally Effective” means that the alternative formats or medium communicates the same information in as timely a manner as does the original format or medium. While every employee of the college bears the responsibility of ensuring equal and effective electronic and information technologies (EIT) access, the Director of Computing & Communications, Director of Access Services, Academic Dean for Instructional Support & Library & Media Services and Campus Web Manager, are responsible for developing and maintaining operations and initiatives that ensure college-wide adoption and support of this policy. Questions and concerns regarding this policy and its operational implementation should be directed to the Director of Computing and Communications. Accessibility to electronic and information technology requires many dynamic guidelines be maintained across many platforms. Through ongoing exploration, adaptation, assessment and change, college employees collaborate as a community to strive for and maintain accessibility. The College recognizes that electronic and information technology and the manner in which it is used by the College are constantly evolving. As such, the electronic and information technology identified below will be procured and maintained in a manner that satisfies the College’s commitment to accessibility to electronic and information technology. Membership: Director of Computing & Communications (chair), Director of Access Services, Associate Directors of Computing and Communications, Associate Dean of Library Operations, Academic Project Manager, Library Faculty, IT Buyer, Civil Rights Specialist, Coordinator Assistive Technology Services, Academic Dean, Director of Integrated Marketing and Web Technologies, one regular faculty. Compiles and maintains data to track compliance with this policy and makes recommendations for improvements, including proposals for new programs, initiatives or technology purchases. Submits proposals for EITA improvements that are outside of the operational authority of members of this work group to the VP’s for approval and institutional funding. Reviews requests for exemptions to the EITA policy and makes recommendations to the Director of Computing and Communications regarding the approval or denial of purchase requisitions that fail to meet the intent of the EITA policy. Serves as a clearinghouse for information about equally accessible electronic and information technology, universal design in higher education, and assistive technology for people with disabilities. Serves as an advisory group for faculty and staff professional development in electronic and information technology accessibility, universal design in higher education, and assistive technology for people with disabilities. College websites and software applications available online include all web pages, websites, web content, social media and web-based software published, hosted or otherwise, used by the college. Meet the most currently published standards and guidelines as defined in the policy. Link official college websites where possible to the college’s main accessibility page. Ensure college websites and online applications remain accessible by regularly monitoring for problems and seeking solutions as required. Identify, establish and maintain a feedback/complaint process by which site visitors can report an issue related to accessibility. Provide information or links on the college’s main social media properties to that provider’s accessibility page, if one exists. Instructional materials include but are not limited to syllabi, textbooks, presentations (live and recorded), handouts used within the college’s learning management systems and in face-to-face classes. Electronic instructional assignments include but are not limited to online collaborative writing, web conferencing and media postings. Use, produce or provide electronic instructional materials and assignments that are accessible. Will ensure that electronic content delivered in the classroom and/or online is accessible. Host electronic instructional materials and assignments in an accessible learning management system or related hosted systems. Replace or reformat instructional materials and assignments as needed or upon request to meet accessibility standards. Respond to and coordinate the resolution of requests from students who request access to legacy instructional materials that do not meet current accessibility standards. Library collections include but are not limited to e-journals, databases, e-books, electronic course reserves, and digital and streaming media. Library user interfaces include but are not limited to the library website, databases or other electronic resources, interlibrary loan application, and the online catalog. Use, produce or procure electronic library collections and user interfaces that are accessible. Host library collections in an accessible, integrated library system. Replace or reformat legacy library collections that include but are not limited to microfilm, microfiche, and film when possible or upon request to meet accessibility standards. Documents include but are not limited to text documents, PDFs, spreadsheets, presentations, publications, and scanned items uploaded or posted online. Electronic media include video and audio. Produce or provide electronic documents and media that are accessible. Host electronic documents and media in an accessible content management system, learning management system, or related hosted systems. Replace or reformat legacy documents and media when possible or upon request by faculty or students to meet accessibility standards. Maintains a list of approved vendors to perform media captioning and transcription. This applies to all college EIT purchases and acquisitions including “free” or “no cost” products or services of EIT excluding individual use, single-license EIT. All EIT purchases and items on the approved product lists must have an accessibility assessment and approval. Vendors are required to complete and provide accessibility-specific documentation for all EIT products or services covered under the Section 508 standards and the most current Web Content Accessibility Guidelines (WCAG). This documentation may include a Voluntary Product Accessibility Template (VPAT) and other documents that allow the college to determine the level of complianceavailable for each product in making a purchasing decision. Create and maintain approved product list(s) for EIT products that are routinely purchased and are accessible, including but not limited to personal computing devices, peripherals such as scanners and card readers, monitors, printers, copiers, fax machines, audio-video equipment, telephones and networking equipment. The EITA work group will make recommendations to the Director of Computing and Communications regarding exemptions. The Director of Computing and Communications will make the final determination to approve or deny any exemption. Procure all electronic and information technology from an approved product list or submit an EIT assessment form with their purchase requisition to the IT Buyer. Submit a Voluntary Product Accessibility Template (VPAT) or alternative documentation that demonstrates that the product(s) or service(s) meet the intent of the EIT policy to the IT Buyer. Replace or upgrade legacy electronic and information technology including but not limited to microfilm, microfiche, and legacy video as needed or upon request to meet the intent of the EIT policy. Federal laws include the Americans with Disabilities Act of 1990 (ADA), and the Amendments Act of 2008, Section 504 of the Rehabilitation Act of 1973 and Section 508 of the 1973 Rehabilitation Act as amended. Washington state laws and policies include Discrimination – Human Rights Commission (Chapter 49.60 RCW) and Students with disabilities (Chapter 28B.10.910 to 28B.10.923). Applicable standards and guidelines include those most currently published by the World Wide Web Consortium (W3C) as a target for meeting web content accessibility and those published by the International Organization for Standardization (ISO) and the American National Standards Institute (ANSI).